Egbert Kieser’s graphic account of the Red Army’s assault on East Prussia in 1945 is one of the classic histories of the destruction of Hitler’s Germany, and it has never before been available in English. Using extensive, firsthand, unforgettable eyewitness testimony, he documents in riveting detail the catastrophe that overtook German civilians and soldiers as they fled from the Soviet onslaught and their world collapsed around them. Tony Le Tissier, in this fluent and vivid translation of the original German text, brings to bear all his expert knowledge of the military defeat of the German armies in the East and the enormity of the human disaster that went with it. Egbert Kieser was born in 1928 in Bad Salzungen, Thüringen and studied philosophy and the history of art at Heidelberg University. He worked as a freelance journalist, writer and editor. 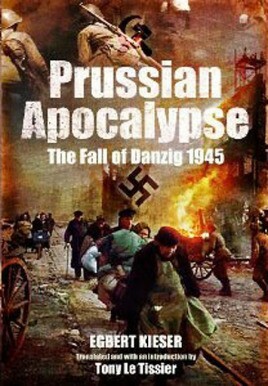 Among his many publications are two outstanding studies of German Second World War history – Danziger Bucht 1945 (which is translated here as Prussian Apocalypse) and Operation Sea Lion: The German Plan to Invade Britain, 1940.